Our queen bees are both Italian and Russian. 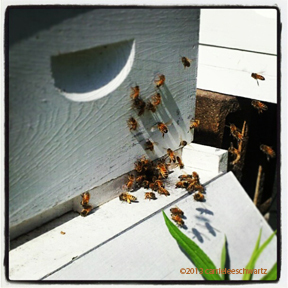 The Russian colonies arrived in April of this year from a Bee Farm in Mississippi. The Italians were a gift from Blood River and we made a split from that hive. Read more at our Bee blog.